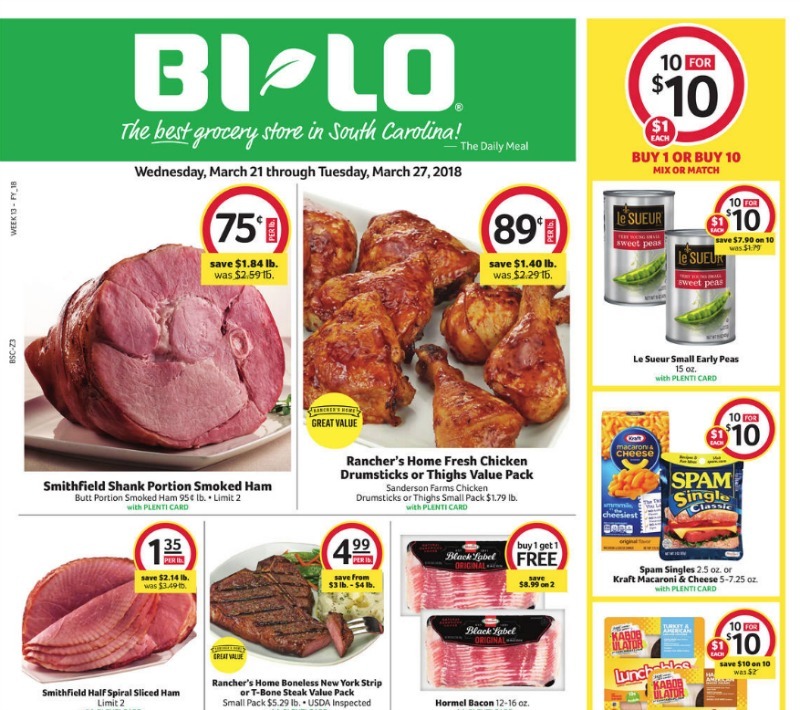 Get ready for all the deals in the Bi-Lo Ad starting 3/21. I’m loving the Unilever deal, just make sure you shop by Friday so you can use the Publix store coupons with it! There are too many favorites to list… so here’s most of the ad. Head over to the Bi-Lo deals page to see all the other deals running too. Buy 5 Participating Items, Save $5 Instantly., Prices listed are after instant savings. Buy (2) Tyson Frozen Breaded Chicken Tenders, Patties or Nuggets, 25.5-32 oz, $6.99 ea. Nature’s Own Butter Hot Dog Buns, 8 ct.